For those of you who are enviably, blissfully unaware of the goings on of The Episcopal Church and the seemingly incessant natter in our corners of Social Media, well, kudos to you. 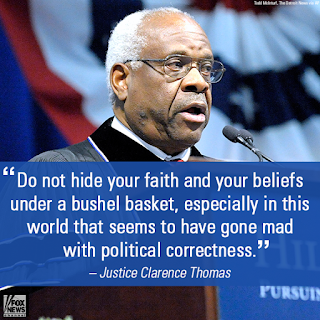 Over at the General Convention FaceBook page, there is a discussion about being 'politically correct' which was prompted, believe it or not, by Supreme Court Justice Clarence Thomas. Yes, that Clarence Thomas. You remember. 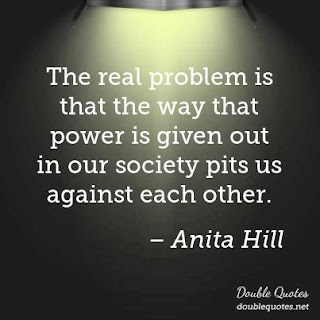 The one appointed to the SCOTUS when Anita Hill should be serving in his place. The usually Silent One on the bench speaks. And now we know why he usually keeps his head down and his mouth shut. Well . . . .! There is an angry troll (isn't there always an angry troll?) who reports that he was, "for 50 years an Episcopalian" (isn't that always the case with angry trolls on Episcopal social media) who is now a member of a conservative mega-church (of course) which has . . . wait for it ... "changed his life". He loves nothing more than to stir up negative conversation and derision among Episcopalians (Because, you know, his life has been changed. Imagine what he was like before he knew Jesus!). He says he's "moved on" from The Episcopal Church but all the evidence points to the contrary. Anyway, he posted a meme of Clarence Thomas and his quote and, well, the conversation has been, shall we say, "interesting". Of course, there was push back. And, of course, there was push back against the push back. 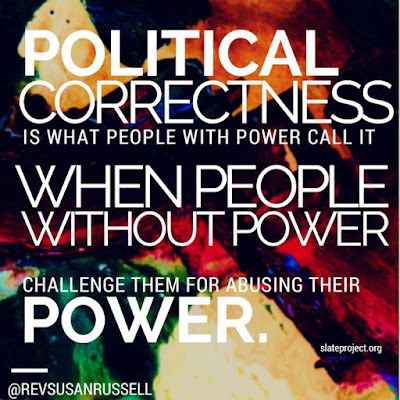 Which, of course, led to many verses of the predictable sad chorus of "The church shouldn't be in politics." Yes, some Episcopalians said that. Which, for some, translates to mean: "This conversation really makes me uncomfortable." Truth is, there has been some interesting - if not unintentional - distinctions made between being "political" and "politics" and the role of each in public service, public discourse and religion. 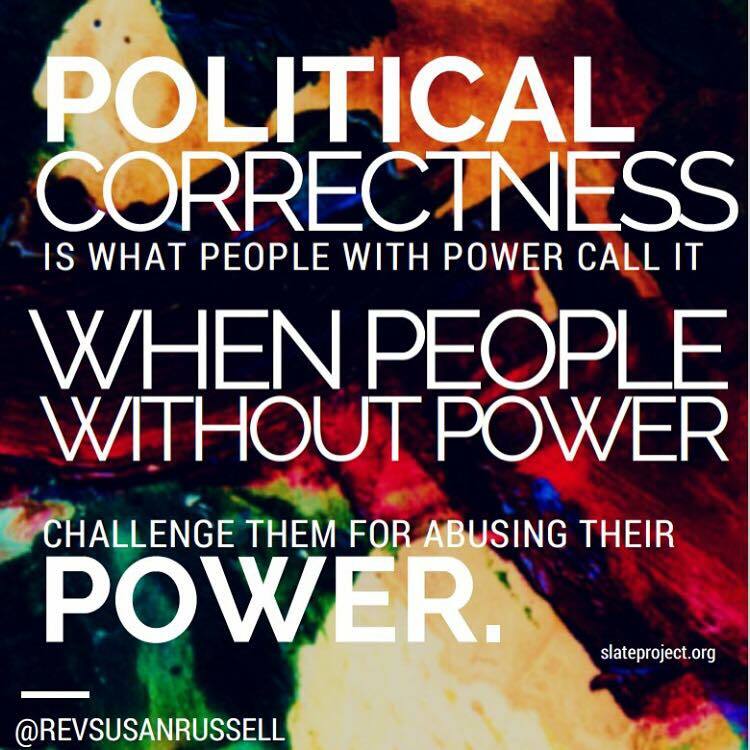 So, after lots of back and forthing and forthing and backing, I felt called to write this Litany of Praise and thanksgiving for Political Correctness. I share it with you now and ask that you join me in prayer. I give thanks and praise to God for all of the Episcopalian Presidents of the United States who have put their faith into political action and service to this country, including George Washington, James Madison, James Monroe, William Henry Harrison, John Tyler, Zachary Tyler, Franklin Pierce, Chester Arthur, Franklin D. Roosevelt, Gerald Ford and George H.W. Bush. I give thanks and praise to God for all of the incumbent Episcopalians who presently put their faith into political action and service to this country as US Senators, including Angus King (I-ME), Bill Nelson (D-FL), Gary Peters (D-MI), and Sheldon Whitehouse (D-RI), as well as now retired John Danforth, (R-MO) who also served TEC as deputy to General Convention. 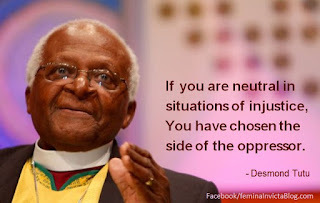 I give thanks and praise to God for the political action of Anglican Archbishop Desmond Tutu whose sacrificial witness and work helped to bring an end to Apartheid in South Africa. I give thanks and praise to God for the political action of Baptist Minister Dr. Martin Luther King, Jr., whose leadership brought thousands of clergy and laity from thousands of churches of various denomination - including The Episcopal Church - to pass the Civil Rights Act and the Voting Rights Act and the desegregation of schools. His words continue to inspire many Episcopalians to dismantle racism and end prejudice and oppression in the name of Jesus. I give thanks and praise to God for the many Episcopalians - lay and ordained - who marched and protested and participated in political street theater and testified before congress to pass legislation to get treatment and research for People with AIDS. I give thanks and praise to God for the many, many bishops and priests and deacons and laity in The Episcopal Church who stood up against religious organizations like The Mormon Church and the Roman Catholic Church who contributed millions of dollars to prevent the civil right of Marriage Equality in this country. I give thanks and praise to God for the group Bishops Against Gun Violence who bring the force of the moral authority of their religious beliefs to bear in the efforts to control gun violence. I give thanks and praise to God for the work and witness of The Episcopal Church with the Religious Coalition for Reproductive Choice (RCRC) which insures that a calm, confident, moral voice of religion is heard in the vitriolic, hateful, violent battle of the arena of women's reproductive health. I give thanks and praise to God for the Episcopal Public Policy Network (EPPN) for working to keep Episcopalians informed of the ways in which they can put their faith into action - directly as individuals or with other groups and organizations and congregations as well as indirectly through political action - in issues of social justice like poverty, hunger, immigration and peace. I give thanks and praise to God for all of the independent justice organizations in The Episcopal Church which bring the needs of the world to the church and the care and concern of the church to the world, including Episcopal Asiamerica Ministry Advocates, Episcopal Network for Economic Justice, Episcopal Peace Fellowship, Episcopal Urban Caucus, Episcopal Women's Caucus, Integrity, TransEpiscopal, and the Union of Black Episcopalians. I give thanks and praise to God for all of the elected deputies - past and present - who put their faith into the political action and the legislative process of General Convention. May God continue to bless the sacrifices they make to be a witness and serve God's people in the world through The Episcopal Church. I give thanks and praise to God for all Episcopalians who put their faith into action in daily acts of mercy and justice and kindness, without fanfare or recognition, apart from any political party or political affiliation or what they consider politics, and all in the name of Jesus. I pray that we may all continue to put our faith into action in whatever ways we feel called to do, and that we may continue to have conversations, even when they make us uncomfortable or upset or frustrated or angry, secure in the knowledge that it is always correct political action to take the risks of our faith and honor the Christ in each of us by serving the Christ in others. 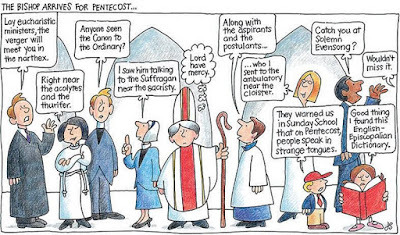 Pentecost. The day Jesus sent the gift of his Spirit. Tongues of fire appeared on the heads of the disciples. Everyone spoke in his own language and yet everyone understood. I remember sitting in a class on John's Gospel at Weston School of Theology - which, at the time, shared faculty, classroom space and a fabulous library with the Episcopal Divinity School - with a wonderful Jesuit scholar and one of the authors published in the Jerome Biblical Commentary. Near the end of the very last of his wonderful lectures, he asked us to turn off all our tape recorders (Do people still use them?). Then, he asked us to put down our pens and pencils (A few of us had computers. No one had laptops. Yet.) and close our notebooks. He took a deep breath, put his glasses on the end of his nose and said, "You never heard me say this . . . .". Which, of course, insured that we'd never forget what he was about to say. 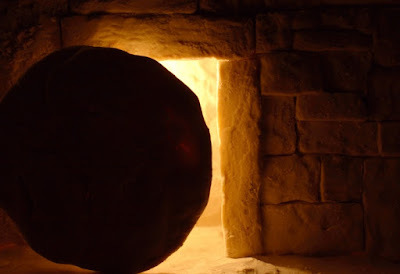 He took another deep breath and said, "From everything I've studied, I do believe that Jesus knew - in the very center of the intersection of his humanity and divinity - that his life and ministry, his death, ascension and resurrection, had all been so that the Holy Spirit could come." 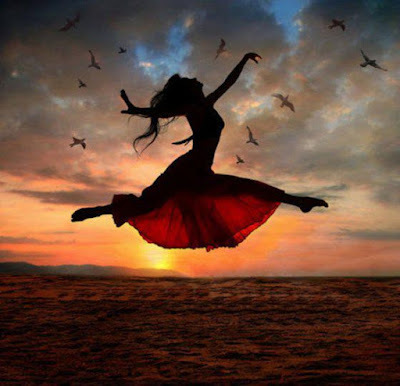 "Yes," he said, "to answer the question that is dancing around in your heads, I'm saying that, as important as the gift of Jesus was, he was not as important as the Holy Spirit. Just as John the Baptist knew that he must "decrease" so Jesus could "increase," (Jn 3:30), Jesus knew that he must do the same for the Holy Spirit." He quoted Jesus in John's Gospel to further support his claim: “I have much more to say to you, more than you can now bear. But when he, the Spirit of truth, comes, he will guide you into all the truth. He will not speak on his own; he will speak only what he hears, and he will tell you what is yet to come." (Jn 16:12-13). "The church has got it all wrong," he said. "It's not about Jesus. It's about the Holy Spirit." "If you want proof of that, just take a look at some of the hymns the church sings about the Holy Spirit. Music that sounds more like lullabies and speak of the Holy Spirit as a 'murmur of dove's wings' so miss the mark." "If we paid any attention at all to what Jesus says about the Holy Spirit, we'd be spending less time in church looking at the cross and more time dancing in the wind." I remember the room being really, really quiet as we let that revelation sink in. After more than forty years of Pentecost celebrations in the Church - red balloons, red dresses, red ties, red socks, strawberry shortcake and red Kool Aid at coffee hour and all that perfectly dreadful, practically anesthetic music - I think that Jesuit professor was right. "The Episcopal Church will not die of controversy. The Episcopal Church will die of boredom long before it dies of controversy." The more I think about the significance of The Holy Spirit, the more I think about the fact that every time Jesus talked about the Holy Spirit it was always in connection to two things: on-going revelation and eternal life. It was never about his body. It was always about the Spirit. The body is the vehicle. The Spirit is about what was, what is, and what will be. The body is what is - flesh and spirit. The Spirit is about revolution and new life which leads us to and prepares us for Life Eternal, which is the gift of the life, death, ascension and resurrection of Jesus. Pentecost is more of a mystery than the incarnation, death, resurrection and ascension of Jesus combined. It is also the point of the incarnation, death, resurrection and ascension of Jesus. Because it's all about The Trinity and The Trinity is all about relationship with God and each other in Christ, empowered by The Spirit. If asked to point to one song that captures the essence of the mystery and meaning of Pentecost, I wouldn't be able to name anything in the 1989 hymnal of The Episcopal Church - or, in fact, any hymnal authorized by The Episcopal Church. Yes, I'm including "Lift Every Voice and Sing." If asked, I would most assuredly point to the final song in the film "Fame". Inspired by Walt Whitman's 1855 poem, "I sing the body electric," Whitman asks, "And if the body were not the soul, what is the soul?" 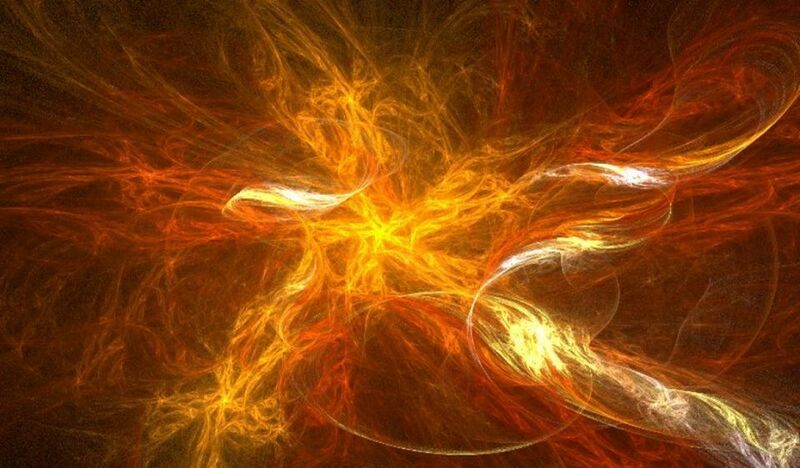 It's the question at the heart of the mystery of Pentecost. I don't think the song directly answers the question, but it points us closer to an answer than anything the church does on Pentecost. 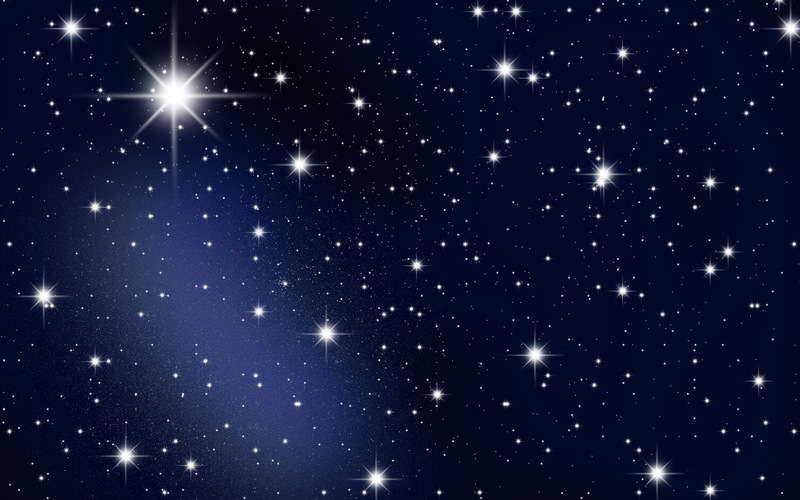 So, on this Feast of The Pentecost when we celebrate in great thanksgiving the gift of the Spirit, which is the gift of the life, death, resurrection and ascension of Jesus, I offer this song.